If you have enjoyed reading any of my novels, I’d be grateful if you would sign up to join the Robert Peecher Posse Newsletter. I’m in the process of switching some things around with my website, so to sign up for the newsletter you have to click here to move over to my new site. You should get a pop-up window that gives you the form to sign up for the newsletter, but the form is also available at the top of the sidebar to the right. I won’t spam you or sell your email address or anything nefarious, but I will send you a couple of emails a month to let you know what I’m working on and when I’ve got new releases coming out. I really hope if you’ve enjoyed my novels that you’ll sign up for the newsletter. It’s a fun, quick read with Jack Bell. I have published a lot of books this year. By the end of June I will have published nine novels in six months. I am extremely fortunate that a lot of folks have found these new books, and even more fortunate that many of you are becoming fans of my novels. I’ve always said that my readers are the smartest, best looking people in the world, and I believe this continues to be true. As long as you’re reading, I’ll keep writing. I am humbled by some of the things readers have said, either in reviews on Amazon or messages they’ve sent via email or on social media. I’m really grateful. After a 20-year career in newspapers, I’m pretty accustomed to harsh critiques of my writing. I once spent 45 minutes on the phone with a very angry woman who did not understand why I wrote a news article about her son who was arrested in possession of large quantities of drugs. She conceded that he had the drugs, she just didn’t like that I wrote about it. My newspaper writing even got me some death threats along the way, and I was sued twice (both times the judge dismissed the case at the first hearing), so a 1- or 2-star review just doesn’t sting very much. So the last few months have been a really fun change of pace for me when it comes to reviews and comments about my writing. No one has yet threatened to kill me over one of my novels. I threw a lot of books at you this year. Those books are not all in a single series, and I know some readers are having a tough time figuring out what to read next. Some authors publish a “series companion” that helps readers figure out the right order to read books, and I’ve wondered if something like that would be useful for folks who are just discovering my novels and want to read more. So here is my own version of a series companion along with a preview of what I have coming soon. I hope to add to it significantly in the next few years. Set in the 1870s in Colorado Territory, Too Long the Winter tells the story of a mountain man who kidnaps a young girl. The girl’s father, a U.S. Marshal, and a trapper form a 3-man posse to trail the mountain man in an effort to rescue the girl. This is a dark and cold novel. A reviewer described the ending as “bittersweet,” and I think that’s as accurate a thing as can be said about it. You won’t leave this with a happy, glowing feeling, but I think you’ll be glad you read it. Too Long the Winter is sort of a universal book. Even if you don’t like Westerns, there’s a strong chance this book will push some buttons for you. Set in the early 1880s, when the town marshal is gunned down by the Garver gang, Deputy Jase Trulock forms a posse of townspeople to chase after the Garvers. The Garvers are making a run for Profanity, an outlaw town on the border of New Mexico and Arizona. While technically a standalone novel, one of the characters in Trulock’s Posse appears in two more (as yet) unpublished books, so in that sense Trulock’s Posse is part of a series. Personally, I think Trulock’s Posse is one of my best novels. I think the action moves quickly and the characters are interesting and well developed. But I think it’s also true that sometimes a writer can publish something that he thinks is one thing and readers will think it’s something else. I discuss it a little more below, but Trulock’s Posse has not done well. It has a poor rating on Amazon and has not been as well received among readers as my other novels. I am trying to learn from my mistakes and have spent a lot of time trying to figure out what I did wrong with Trulock’s Posse so that I don’t repeat those mistakes. I doubt you’ll regret reading the book. I don’t think it’s that bad. But a lot of people who have read my other novels are choosing to skip this one, and I don’t hold that against anyone. Jack Bell, Zeke, Minko, Honor, Jason … This is a traditional Western about U.S. Marshals living in north Texas in the years after the Civil War when Texas was under control of the federal government and not yet admitted back into the United States as a self-governing state. Jack, Minko, and Zeke are tasked with chasing fugitives, solving murders, catching stagecoach robbers, and enforcing the nation’s new Civil Rights laws. 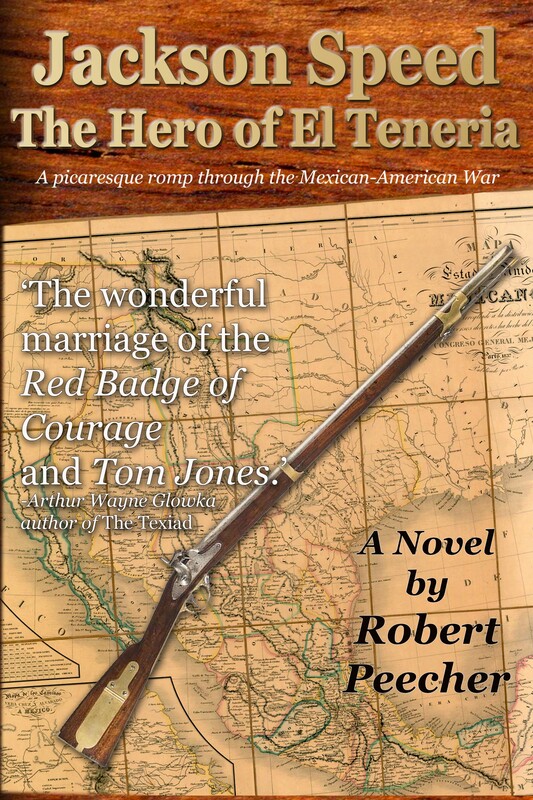 For Jack Bell, some of the conflict in the stories comes from the fact that he was a Confederate soldier in the Civil War, yet he now wears a badge making him a federal government lawman (the Yankee Star). His childhood friend, Zeke Thornton, was a Unionist in north Texas during the war near a place where (historically) one of the largest mass hangings took place when Unionists were rounded up and lynched during the war. I love this dichotomy among my characters and will continue to unravel it in future novels. In my mind, at least, the Two Rivers Station books are my “Gunsmoke” series. I’m a fan of the old Western starring James Arness, and I think of Jack and Zeke in similar terms to Marshal Matt Dillon. While there are currently three books in the series (Redemption, Deception, and The Yankee Star), this is a continuing series and there will be more Two Rivers Station Westerns coming soon. It’s probably better for the reader experience to read these books in order, I think a reader could pick the books up in any order and still be satisfied. Redemption (Book 1) certainly has more character development and world building than Books 2 and 3, which are shorter, faster reads. A 4-book series that I like to think of as an “epic Western.” Lodero makes a graveside promise to his mother to discover what happened to his father who never came home from the gold fields. Over the course of four books (The Noble Widow, The Six-Shooter Capital, The Name of the Horse, and Return of the Gunfighter), we travel with Lodero as he unravels the past and follows clues that lead him to retrace his father’s final years. These books should be read in order because the unfolding of one part of the mystery leads to the unfolding of another, and there are spoilers in each successive book. I don’t mind saying that the Lodero series is a personal favorite. I love all my books, but there is something unique and special to me about this series, and I think it is a really fun read. The Jackson Speed books are my original series. Not strictly part of the Western genre, the Jackson Speed novels are, for me, a passion project. I love writing these books. Heavily researched, Jackson Speed is a historical interloper. He appears at many of the most important moments of 19th Century American History, and he encounters many of the most important people of that time. The Speed novels are part history lesson, part comedy, part adventure, and part drama. Speed is an unsavory character. He is a coward and a womanizer, and the novels purport to be Speed’s memoirs and are told from the perspective of the old man remembering his youthful exploits. Because these books are so heavily researched, it takes me longer to write one. And I realize they are not to everyone’s tastes. But I love these books and will continue to write in this series. The novels jump around chronologically in Speed’s life, and so I hope they are written in such a way that a reader can pick up any book and jump right into the series. I’ve said many times that the Speed books are not to everyone’s tastes. 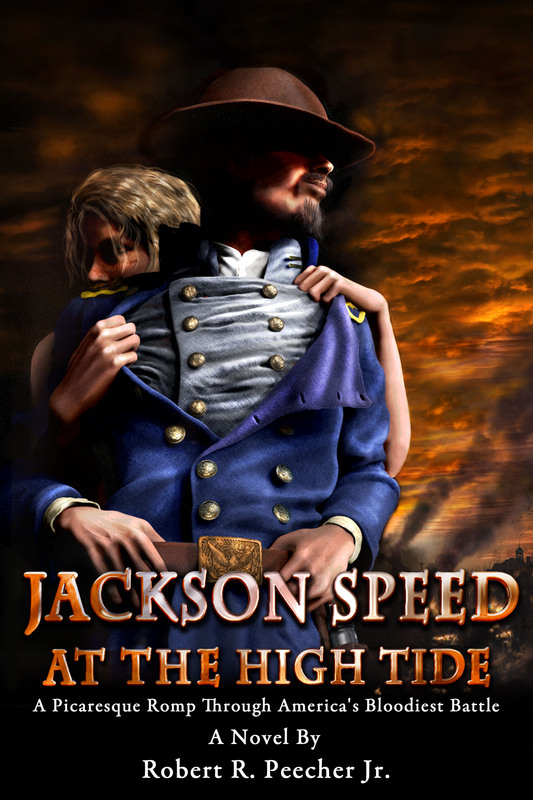 Jackson Speed is not a typical Western hero. He’s not a hero at all. Or maybe he is. One of the things that I wonder about as I write these novels is whether or not Speed (writing his memoirs) is an honest narrator. It’s possible that he’s more of a hero than he lets on. Or maybe not. I don’t really recommend the Jackson Speed books to readers, which is a weird place for an author to be. Some early readers focused heavily on the character’s personality flaws and were turned off. If you don’t get the joke, you won’t like these books. I am a big believer that people should read books they enjoy. The Speed books have plenty of redeeming qualities. They are funny. The history is thoroughly researched. I think they are well written. But these books are honestly not universal in the way that Too Long the Winer is. You have to be the “right” reader to enjoy Jackson Speed, and you have to be willing to come along for a ride and trust me a little that we’re going to get somewhere. I have several projects I am working on or have finished, and I honestly haven’t decided on a release schedule yet. The only one I’m sure about is the new ANIMAS FORKS series. I am so excited about this series, in part because I’m writing it with a wonderful author friend of mine. While I will end up doing the bulk of the series, she is going to write at least three or four books. Initially we’re planning a 12-book series with a book being released each month from August 2018 to May 2019. Yes, that’s not 12. We’ll release three books in August to give the series a jump start. Animas Forks is a real Colorado ghost town, though the Animas Forks in our series is a bit bigger and a bit rougher than the real Animas Forks was. Our Animas Forks is a combination of Leadville, Silver City, and Deadwood. We’ve got some wonderful characters we’re weaving into the series, and different characters will be the focus of different books. I think this series is going to be a lot of fun for readers who like to follow a big story. So look for the Animas Forks series coming in August. Jackson Speed in the Lincoln County War … if you’re a fan of Jackson Speed and you’ve been wondering when he would show back up, I am about 60 percent of the way through the next Jackson Speed book, and it will see old Jackie Speed in Lincoln County, New Mexico, hanging out with William Bonney. That’s right, Billy the Kid and Jackie Speed. Currently with my editor: The next book that will be ready for publication (probably in July) is a standalone novel that features a recurring character from Trulock’s Posse. In all candor, Trulock’s Posse did not do well, as I mentioned above. Of the books I’ve released, it has the lowest reviews and generally weak sales (although in the last couple of weeks, more readers seem to be picking it up). Because my writing is my primary source of income, I have to pay attention to how much money a book makes. That’s just the raw facts. So I am reluctant at this stage to plan a release of a book that features a recurring character from Trulock’s Posse. I do not yet have a title for this book, but it is set in 1860 and follows a family traveling on the Santa Fe Trail. They are being guided by the recurring character from Trulock’s Posse (which is set in the 1880s, so this features that character 20 years younger). They are being stalked by a gang of outlaws, also going on the Santa Fe Trail to the gold fields of New Mexico Territory. I’m honestly torn about releasing this book. 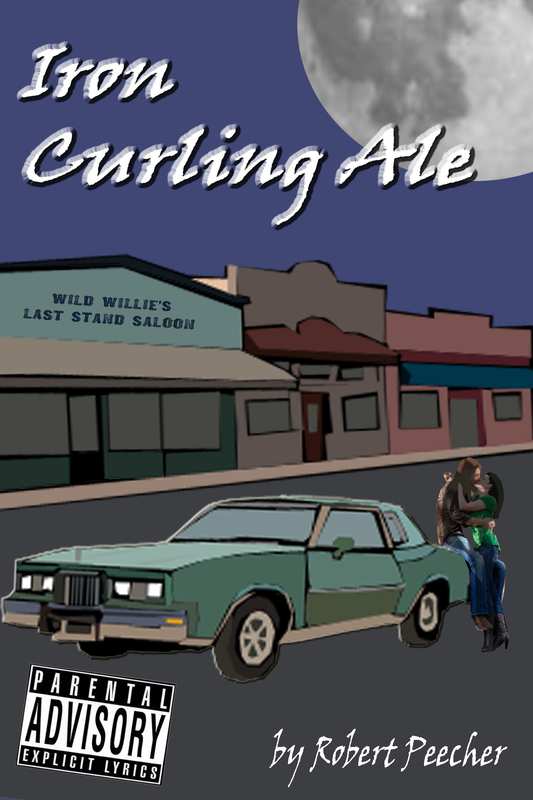 It is slower paced than many of my other novels (one of the criticisms of Trulock’s Posse that resulted in a 2-star review). So this one may sit on a shelf for a while. It’s kind of a coin toss for me right now, and may hinge heavily on what my editor says about it. This book and the character actually started before Trulock’s Posse. I’ve noted in the past that Trulock’s Posse was a “surprise” novel. It was not part of my original publishing plan for 2018. I wrote it after I wrote novels that still are not yet published. The idea to put the recurring character in Trulock’s Posse came after I had started writing the book. So the character existed before and outside of Trulock’s Posse. All the same, I’m nervous about releasing this book and I just don’t know what I’ll do. 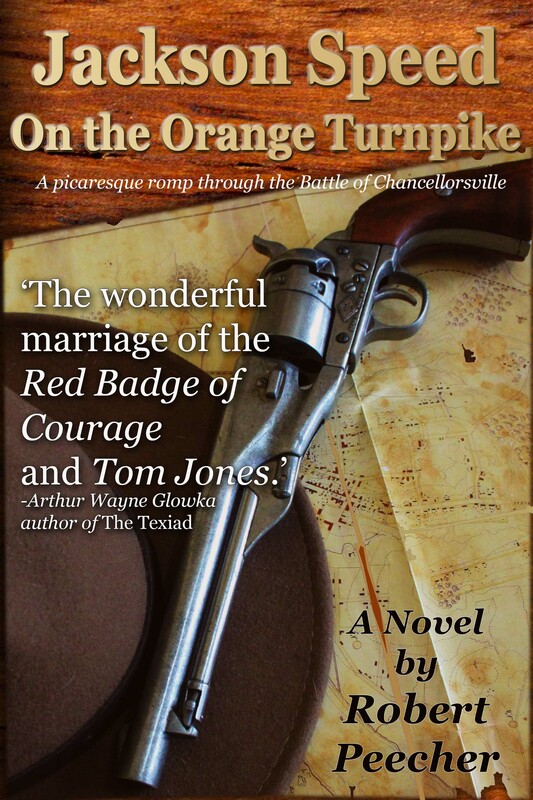 New Series: I’m working on a series of books featuring a Texas sheriff set in the early 1880s. These are more mystery and crime fiction than some of the others and are similar in tone and style to the Two Rivers Station books. My goal is to have three or four of these ready to go before I publish, and I don’t know exactly when that will be. Maybe later this year or maybe early in 2019. Future Series: If you’ve already jumped into the Lodero Westerns, you’ve met Juan Carlos Baca. He quickly became a favorite character for me, and early feedback from readers suggests others liked him as well. The Lodero series was only ever intended to be a 4-book series, but as I was writing it, I realized I’d opened a door to a second, related 4-book series that would also feature Juan Carlos Baca. This has barely moved from the plotting stage, so unless it becomes a sudden priority to me, look for this sometime next year. It’s always possible that I could revisit Lodero at some point in the future and the series could extend beyond the original four books, but as of right now, that’s not on the horizon. I like the characters, though, and I might not be done with them. Two Rivers Station: I hope in September or October to start releasing the next books in the Two Rivers Station series. I know that series has developed a lot of fans, and I am grateful to those folks and want to reward them with more from their favorite characters. Initially I thought I would revisit Two Rivers Station early in 2019, but I know what it’s like to be a fan of a series and have to wait for a new release, and I’d rather not make you wait that long. I am fortunate that I have a fairly thick notebook labeled “Story Ideas,” so I think it’s safe to say that I will publish a lot more books in the coming months and years. If you’ve read one of my Westerns and enjoyed it, I think you won’t be disappointed with the others. I have a fairly consistent style when I write. My hope is that I’m always improving, both as a storyteller and as a writer. I am grateful for feedback, in whatever form it takes – whether it’s a review on Amazon or a message on social media. Reviews, especially good reviews, help me sell books, so I crave those. As much as writing is a passion for me, it is also a career, and anything that readers can do to help me gain new readers is greatly appreciated. If you know folks who enjoy Westerns and would share my books with them or post a link to my books on social media or leave a review on Amazon, all of these things would help me so much. And one last thing … I love to connect with readers who enjoy my novels and other folks who are as passionate about the Western genre as I am. I’ve created a Facebook group for folks who love Westerns, and it would be awesome to build this into a huge group of fans. So if you’re on Facebook and love Westerns, feel free to click the join button and get into the Peecher’s Classic Westerns group. I’ve never been particularly happy with my author bio on Amazon. It has undergone numerous revisions since I first started publishing back in 2012, but thanks to my buddy Rodney Carr (who doesn’t read Westerns) and a Western writers group that doesn’t want me as a full member, I think I’ve finally come up with an author bio I’m happy with. Rodney is the friend mentioned. Though he doesn’t like reading Westerns, he does enjoy paddling rivers and playing soccer, so I’ve posted with this a photo of us with David Smith during one of our river trips. That’s me on the left, David center, and Rodney – not reading Westerns – on the right. Some (what I have quoted below) of the new bio comes directly from a letter I wrote to a Western writers group. I decided a couple of months back that it would make sense for me to join an association of writers dedicated specifically to the genre of Westerns. I’m in several writers groups, but none of them are specific to what I write. I went to one of the most prominent organizations of Western authors and discovered that because I self-publish my novels I am ineligible for full membership. I can be an associate member (paying the same dues as a full member), but to be a full member of this group you have to be traditionally published. I’m pleased to say that I have been approached by traditional publishers (one of whom said he would publish “any and all” of my books). But at this stage in my career, that’s not something I’m interested in doing. This is purely a business decision on my part because I believe I can earn a better living on my own than through a publisher. So I self-publish by choice (which has not always been the case). I sent this organization a letter asking that they waive their membership criteria and allow me into the group as a full member. I wrote an impassioned plea and explained to them why, in my belief, a group of Western authors should be the first to recognize Indie authors as full members (for the record, many organizations supporting authors in other genres already grant full membership to independent authors). I acknowledged that they have every right to exclude anyone they want from their group. And … they decided to exclude me. I could join as an associate member and pay the same dues as full members but have fewer rights within the organization. But the impassioned letter provided me with the guts of my new author bio, so there is no loss. If you are left wondering whether or not I am bitter or angry about not being allowed into the club of Western writers, the answer is no. It doesn’t bother me. If you are left wondering whether or not I am bitter that my friends do not read Westerns, again the answer is no. I am perfectly okay with the notion that my books are not to everyone’s tastes, and the worst thing that can happen to one of my books is that the wrong reader finds it. Only two people in this world have an obligation to read my books whether they want to or not. Those are my wife and my mother. And they both do. Below is the passionate part of my letter to the writers organization I tried to join. If you want the rest you’ll have to visit my author page at Amazon. Please feel free to buy a book while you are there, but only if you want to. I am drawn to Westerns because it is the only genre that embodies the ideals that I consider to be truly American: Ideals of freedom, of rugged individualism, and of independence of spirit. The heroes of Westerns are men and women who understand that justice and the law are sometimes two different things. They are people who make their own way by their own means, they are prideful and stand by what they say. Readers of Westerns, I think, typically hold dear those same values. They are “my people,” and I consider it a privilege to write stories for them. No time or place better exemplifies these ideals than the American West of the 19th and early 20th Centuries. This is why I love reading Westerns, and this is why I love writing Westerns. When I write Western novels, I’m very aware that these principles are not simply tropes in a genre but dearly held beliefs of a certain caliber of people, Americans generally, Westerners specifically, and me individually. After a few days of some kind of glitch that prevented the cover from showing up in searches on Amazon, I’m pleased to announce that my 14th book “Trulock’s Posse” is now live on Amazon. Trulock’s Posse is a standalone work and not part of a series. While it is full of the kind of action you’ll find in my other Westerns, I think it is much more character-driven than some of my other books. It features a dozen-man posse consisting of business owners and ranchers who chase after a gang of desperadoes after they murder a town marshal. The conflict is driven in part by the members of the posse themselves and also the action that takes place around them. Profanity is a real place name. Near Escudilla Mountain in Arizona there is a “Profanity Ridge” marked on the maps, a truly beautiful place that slopes down into a large stand of quaking aspen with big ponderosa pines behind. It’s a really lovely spot. But the outlaw town of Profanity as described in the book is pure invention. However, these outlaw towns along the border of Arizona and New Mexico territories in the late 1800s were real. Most of them are gone now. The small town of Luna, New Mexico, is one of the few that still exists. Ike Clanton (of OK Corral fame) was hiding out in one of these outlaw towns when he traveled to Springerville, Arizona, and was shot and killed there. I love this notion of an outlaw town and may well write about one again. Maybe I’ll even resurrect Profanity as a setting in another book. I also like that the title character is not the main character and the main character is not the hero. Among fiction writers, we talk about ourselves as either “plotters” or “pantsers” (ie: Those who plot their books and those who write by the seat of their pants). Some books I carefully plot while others I pants. Trulock’s Posse was definitely a pantsed book. As such, the roles of the characters unfolded for me much in the same way they will unfold for readers. When I started writing, I couldn’t have told you where it was going. I also didn’t know who the main character was going to turn out to be, nor did I know which character was going to be the hero. I had already developed one of the characters who appears in Trulock’s Posse for a different novel, and when I started writing Trulock’s Posse it was not in my mind to include that character. So my “surprise novel” also had a “surprise appearance” by a character from another book that isn’t even written yet. When you write fiction, any damn thing can happen, and my experience is that the best books are the ones where any damn thing does happen. So if enjoy reading Westerns, I hope you’ll give Trulock’s Posse a read. It’s very much in the vein of Louis L’Amour or Robert B. Parker Westerns. If you’ve been looking for an opportunity to read one of my novels but you don’t want to make the commitment of a series, Trulock’s Posse is a great option. Another really good option Is Too Long the Winter. If you’re curious because you know me personally and want to know what I’m doing at 3 a.m. but you don’t even want to commit to a full-length novel, Too Long the Winter is a good option because it is much shorter than Trulock’s Posse. If you’re fully committed and you want to jump into a series, the Two Rivers Station series is currently three novels deep and will be growing soon. Two Rivers Station is a traditional sort of Western. I’ve told people it’s my “Gunsmoke” series if you’re familiar with the old James Arness TV show. The Jackson Speed Memoirs is my first series. Those books are much longer and there are currently six of them. Jackson Speed, set in the 19th Century in events like the Mexican-American War, the Civil War, and the California Gold Rush, is similar to traditional Westerns in terms of themes and settings, but the character is not a traditional Western character (that’s your fair warning). And if you don’t have any interest in reading a novel or a shorter novel or a series and you don’t care what I’m doing on my computer in the middle of the night, then why are you still reading this? You can find all of my novels at Amazon.com. A couple of weeks ago I was interviewed for J.C. Hulsey’s Wild West Showdown podcast. As I noted before, my plan was to talk about my new Westerns and avoid talking about Jackson Speed, and of course all I did was talk about the Jackson Speed novels. All the same, it was a fun interview and I enjoyed doing it. If you’d like to give it a listen, check it out here. My interview begins at the 13-minute mark. I didn’t have any kind of picture that made sense to go with the interview, so I posted a photo of me paddling backwards through a shoal. I had a great time this morning doing an interview with J.C. Hulsey who does the Wild West Showdown podcast. He contacted me last week about being interviewed for the podcast, and so last night I spent some time making notes so that I would be prepared for the interview. The notes really focused on my new Westerns – Too Long the Winter and Redemption at Two Rivers Station. These books are going to appeal to more readers than the Jackson Speed novels. I mean, let’s be honest, Jack Speed is a fun character, the novels are set against a very rich (and accurate) historical tapestry, and I love the Jackson Speed novels. My new novels are selling pretty well, so I think obviously Mr. Hulsey’s listeners are going to be more interested in hearing about these. So my notes in preparing for today’s interview focused almost entirely on the new novels. What did I end up talking about? You guessed it: Jackson Speed. The interview didn’t feel so much like an interview. Mr. Hulsey and I just had a conversation, and the conversation naturally flowed toward one thing rather than the other, and I completely forgot about my notes. But here I am with all these notes and nothing to do with them, so I thought I would share here some of what I prepared in an imagined interview. Q. WHY DO YOU WRITE WESTERN NOVELS? I have always had a fascination with the time period. My dad is an armchair historian, and in particular he’s always had an astounding knowledge of Civil War history. Growing up, I remember thinking there was no way I’d ever be as knowledgeable as my dad. It’s still a challenge to me to include anecdotes or facts in my novels that my dad didn’t previously know, and once or twice in a novel I’ll manage to surprise him. The Civil War leads naturally to the American West – what we call now the Old West or even the Wild West, and my interest in this place and time in American history very much developed naturally. So I’m drawn to that time period of the 19th century from the Mexican-American War, through the Civil War and to the close of the 1800s. That time period takes you from the time of Manifest Destiny and exploration through the War Between the States and into the expansion period. Not only was it a definitive period of American history, but it was also a time of some really amazing characters. You’ve got so many fascinating and true stories of lawmen like Dangerous Dan Tucker and Seth Bullock and Bass Reaves, and the lawmen were seldom as interesting as the outlaws. And a lot of those folks blurred those lines. Q. WHAT IS IT ABOUT THIS TIME PERIOD THAT IS SO INTERESTING TO YOU? You also had people who had this really amazing spirit of adventure and willingness to take risks. Not everybody, of course. Most folks just stayed put in the town they came from, but there were tens of thousands of people who sold everything and set off on an adventure. Someone back east who sold everything traveled six months across the country, sometimes not really even knowing where they would end up. They faced dangers and obstacles that folks today can’t imagine and wouldn’t dream of taking on if they could. I’ll tell you a quick story along those lines. I’m working on the last book in a series of four novels that were inspired by a story from my family’s lore. Sometime in the mid-1800s I had an ancestor, maybe a cousin to a great-great grandfather, who set out West. The family never heard from him again. One day his trunk was delivered home with no explanation. No note, no idea who sent the trunk home. Nothing. No one in the family ever knew what happened to him. That’s a story that has stayed with me over the years and really captured my imagination, and it’s the starting point for the series I’m finishing now. Q. WHO ARE SOME OF YOUR FAVORITE AUTHORS? One of the reasons I’m drawn to writing Westerns is that I read Westerns. Louis L’Amour and Robert B. Parker are among my favorite authors. Robert Parker was probably better known for the “Spenser” novels that inspired the TV series “Spenser for Hire,” but he’s also written some great Westerns. I love Owen Wister’s The Virginian – a novel that also inspired a TV series back in the 60s. Robert Utley wrote some fantastic non-fiction books about the Lincoln County War that read like novels. I’m also a fan of Glenn Tucker and Shelby Foote as Civil War historians. Q. WHAT DO YOU HOPE READERS TAKE AWAY FROM YOUR NOVELS? My goal when I write a novel is to just simply tell good stories. I want to entertain my readers. If you’re not careful, you might learn a little history (especially from my Jackson Speed series which is heavily footnoted with historical context). But really what I want to do is just entertain folks so that when they finish reading one of my novels they feel satisfied with the way they spent their time. I charge $3.49 for most of my books, so it’s not a huge investment in terms of money. But it’s humbling to me to think that people are spending their time with my novels, and I don’t want them to regret that. So when I am writing a novel, that’s what I’m thinking about – I’m thinking about a commitment to the reader that I’m going to do the best I can to write a novel that is worth their time. So … According to my notes from last night, that’s absolutely how the interview went. I was able to talk all about my interest in American history and my new Western novels and I hardly even mentioned Jackson Speed at all. When the podcast airs, I’ll post a link and you can decide for yourself whether or not I accomplished anything resembling my goals. I think, actually, the most interesting thing I said in the podcast is that I’m a professional doorman for my dogs. I need to wrap this up now because I hear someone scratching at the door. A Rocky Mountain landscape scene with cowboy. Original illustrative composition, partly done with Terragen 3D software and the other part hand done. If you follow me on social media, you might have seen where I’ve hinted in the past few months that I’ve been working on expanding my catalog beyond the Jackson Speed novels. I wanted to try my hand at writing some more traditional Westerns, and I have spent several months writing those novels. I’m actually writing in three different and unrelated series, and I also wrote a standalone novel, though the main character in that novel may end up appearing in one of the other series later. Having spent almost six years writing novels set in the 1800s, the Western genre seemed like an obvious place for me. It’s not much of a transition to go from the Jackson Speed novels to a traditional Old West adventure novel. In the next few weeks I’m going to start releasing some of these new novels. My goal with these was to get large portions of the series (or in one case, the entire series) written before publication. I know with the Jackson Speed novels, readers sometimes get frustrated waiting a year for the next book. So I really threw myself into these projects so that I could publish books in each series within a few weeks of each other. The first book to release will be “Too Long the Winter.” This is the standalone novel set in Colorado Territory in the early 1870s. The novel tells the tale of mountain man Bear Le Vrette who abducts a girl and takes her into the mountains (if you were one of my wonderful beta readers, don’t be confused … I changed the title after I sent out the book to beta readers). In “Too Long the Winter,” U.S. Marshal and the girl’s distraught father turn to Le Vrette’s friend for help in tracking the mountain man and attempting to save the girl. It is a fast-paced novel with a good bit of action to it, and it was so much fun to write. I never really intended to turn it into a series, but I liked the main character (Luther Corbett) so much that I figured out a way to work him into another series that I’ll be starting later this year. The first series I’m releasing is the Two Rivers Station Western series. The focus of the series is Jack Bell, a Confederate veteran who after the war returns to the Texas farm his father had. These books are classic Westerns – badges and gunsmoke, good guys and bad guys. The second series I’m releasing (look for it in March) is the Lodero Western series. Lodero is the classic sort of gunslinger from the Old West, but he’s on a mission to learn what happened to his father who went to seek a fortune and never came home. 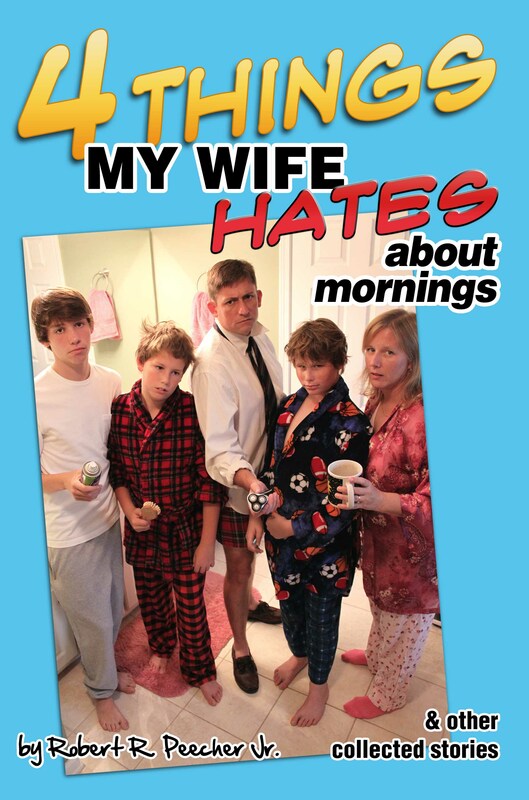 This is a 4-book series, and my intention is to release all four books this spring. I’ll share this with you: In my family’s history there is a story about an ancestor who went west to Oregon or California. No one in the family ever heard from him again. But some years after he left, someone shipped his trunk (empty) back to the family. I’ve heard that story several times since I was a little kid, and that was some of the inspiration behind the Lodero novels. After Lodero, probably sometime this summer, I’ll be releasing another series of books. These are much shorter, but my intention is to publish a story once a month in this series at least for a few months. The series is character-driven and is set in a gold rush boomtown in the Colorado mountains in the 1870s. The location Animas Forks, was a real gold mining boomtown and is now a ghost town. If you’re a Jackson Speed fan, I hope you’ve had an opportunity to read “Jackson Speed In the Rush.” I am still working on the next book in the Jackson Speed Memoirs – Jackson Speed and the Regulators. My hope is that I will have that book ready to publish sometime in August. If you enjoy classic Westerns, I hope you’ll give some of my new books a chance. I’m thoroughly proud of them and very excited to see how readers receive them.